Knauf offers you a variety of ways to create the foundation for your professional future. Whether you are in the commercial, technical or IT sector - you are looking for exciting tasks, a targeted support and a dedicated team, which you always gladly support. This application is for training department in Knauf Egypt. 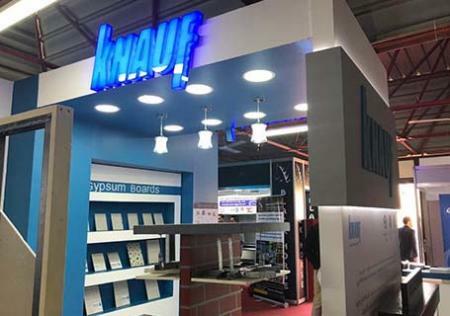 If you are interested to receive detailed training on Knauf products and solutions, please fill it in and it will be reviewed by the designated department and you will be contacted when a training is scheduled. Thank you for filling Knauf Egypt training form. Our training coordinator will contact you when we have a scheduled training. The 2019 edition of Build Expo took place in Assiut from April 1st to 3rd at the Exhibition Center in Assiut University. The yearly exhibition showcases a wide range of building materials and attracts many visitors from engineering and construction professionals.